Corona Del Mar (Perfect Meal Today)3/14/17/–Experience artistic fresh floral, living displays and new spring home décor collections. Enjoy tastings of new spring artisan cocktails and savory bites by Farmhouse Owner and Executive Chef, Rich Mead. 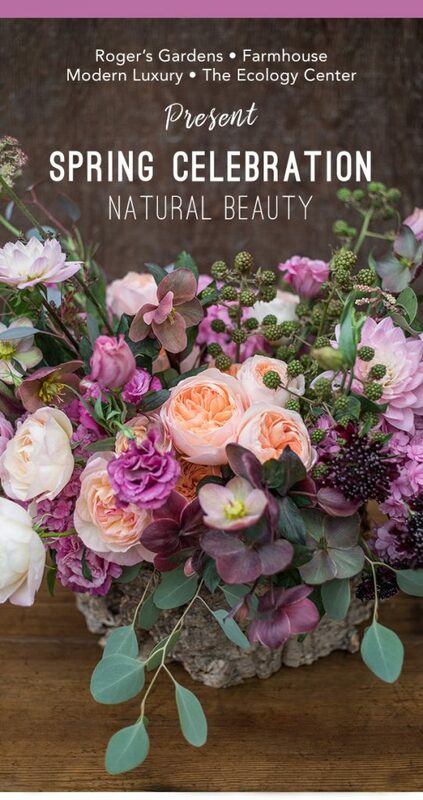 Be inspired by our beautiful environments that celebrate nature, habitats and sustainable living, while bringing beauty into your own home and garden.